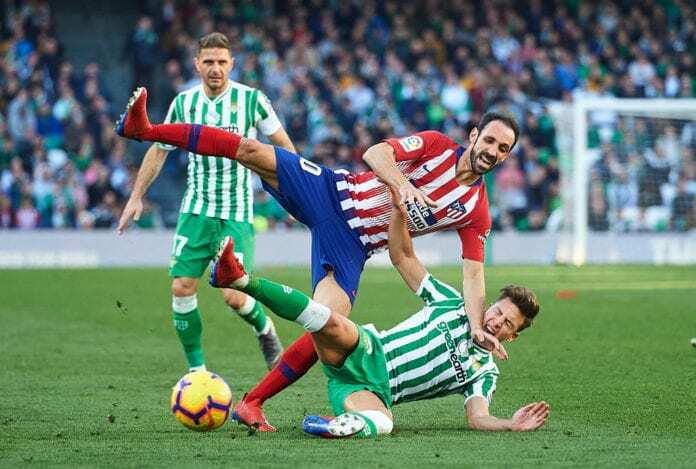 Atletico Madrid was defeated by Real Betis 1-0 today in Spanish La Liga tournament Sunday action. A single goal by Real Betis’ Sergio Canales was enough to defeat Atletico Madrid in the Spanish La Liga tournament. With this, the Colchoneros are now six points behind leaders. Atletico keeps the second position but is just now five points ahead of Real Madrid who is yet to play this Matchday. Los Merengues will play against Alaves in a few minutes to close today’s fixture. Atletico has now 12 wins in 22 matches, eight draws, and only two defeats. And for manager Diego Simeone, the only positive thing that happened today was the debut of Alvaro Morata. 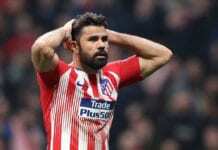 “I don’t think it’s fair to talk about it [the penalty decisions] after a defeat,” said Simeone to Spanish media outlet Marca. “I’m talking about the team,” he added after saying how he will not speak about a non-called foul in the rival’s area against Morata, but then the team got a penalty called against them. “We could not find solutions when the game drew to a close,” he added. “Let’s hope he continues to contribute,” Simeone wished. Atletico will not have an easy way to return to the winning path, as they will host Real Madrid next week. The team will then visit Rayo Vallecano just before they host Italian Lega Serie A club Juventus in the UEFA Champions League Round of 16. The snaps of the #RealBetisAtleti match. 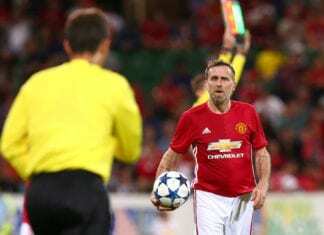 Karel Poborsky played for Manchester United in the English Premier League after helín the Czech Republic reach the 1996 Euro Final.